That's exactly what i was thinking Dom about the custom made idea !! Thanks for making it clear to me !! So my first target is a big search for the ARRI N35 1.78 ground glass !! I'll hire a very experienced 35mm cinematographer for that (i'm director not D.o.P) .. but i like very much to have study my owns ... to know the technical details ... and you guys you've help me a lot !! Look i'm on a 3 years heavy study of Kubrick's breakdown cinematography via his technicians interviewes ... via daily continuity reports and via other material from his archieve ... and I've trained my eyes and my mind on this way I know that the difference between S35 and N35 is not huge ... but it's not enough for me I'll have the excact he hadon EWS 1. 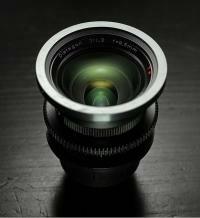 Zeiss super speeds mkiii T1.3 2. Zeiss Variable primes 3. Cook Varotal 20-100 T3.1 And also his famous Kinoptic 9.8 and the Ang 14.5 Of cource i'm not going to a blind copy-cat of the numbers ... i use them for breaking down the tech details of his shot to train my mind 😉 Thanks again Dom .. you were a great help !!! May that be the ideal for me ? I was reffered only to his 35mm movies .. I want my framing and compotition to be on 1.78 ... that's why i'm asking what equipment will i need tell me something more ... i have never experience with 35mm cameras ... when i see via the viewfinder .. the frame lines is just like the "safe margins" .. or they hard mate the frame so i see ONLY what is is inside the 1.78 area it's confusing for me to compose with lines and the outisde area be visible .. I need the N35 1.78 (20.95 x 11.78) right ?? (the 20.95 is the Academy with .. right ? ?